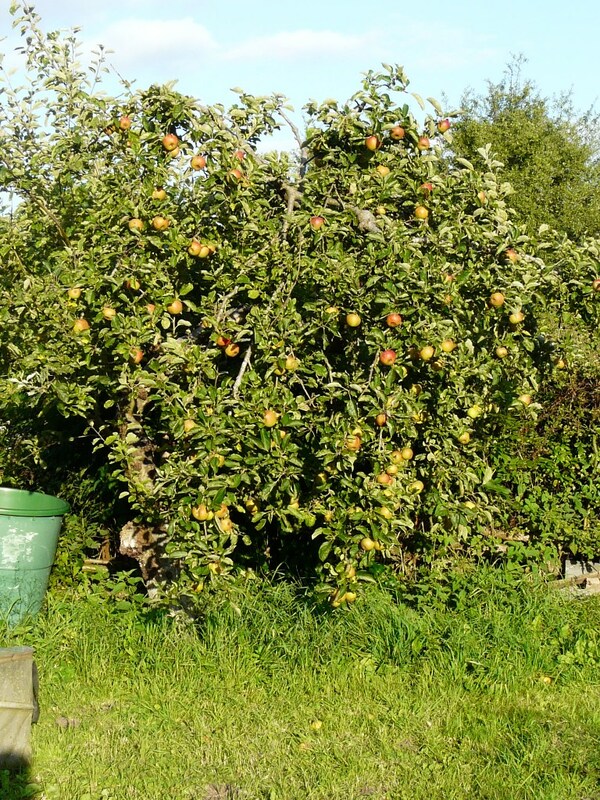 Cutting down an overshadowing ash tree has given this gnarled old apple tree a new lease of life and a bumper crop of fruit. 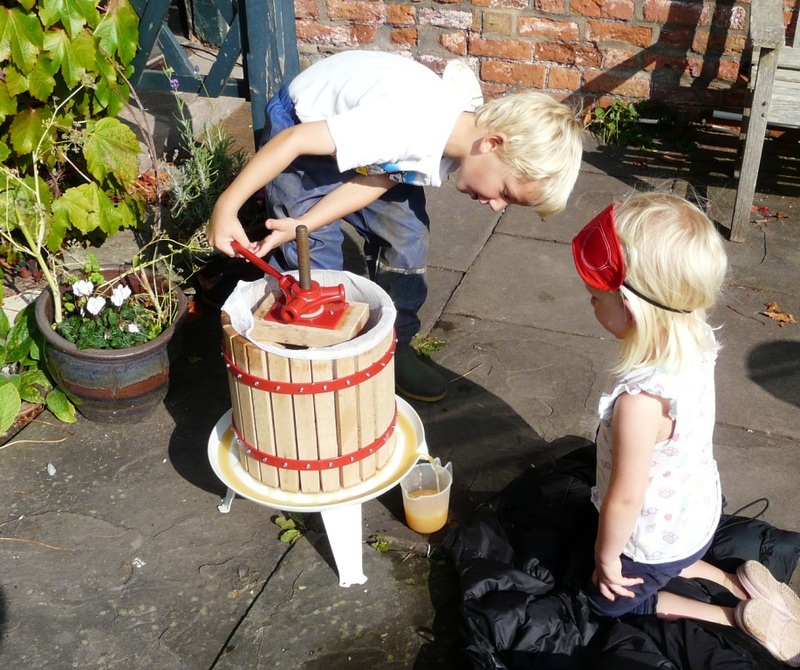 We picked a washing basket full of fruit, chopped it up and used our bucket and drill to mash the fruit. Then we set about pressing it into juice. The children enjoyed this hugely until I accidentally pressed one of their fingers. 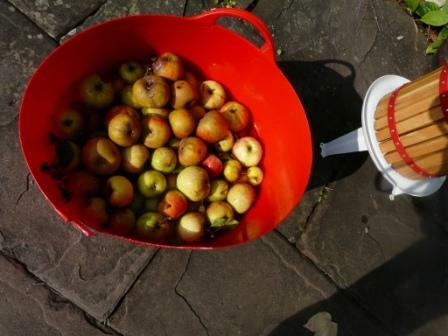 It all ended in tears but we did get some rather delicious apple juice as well.